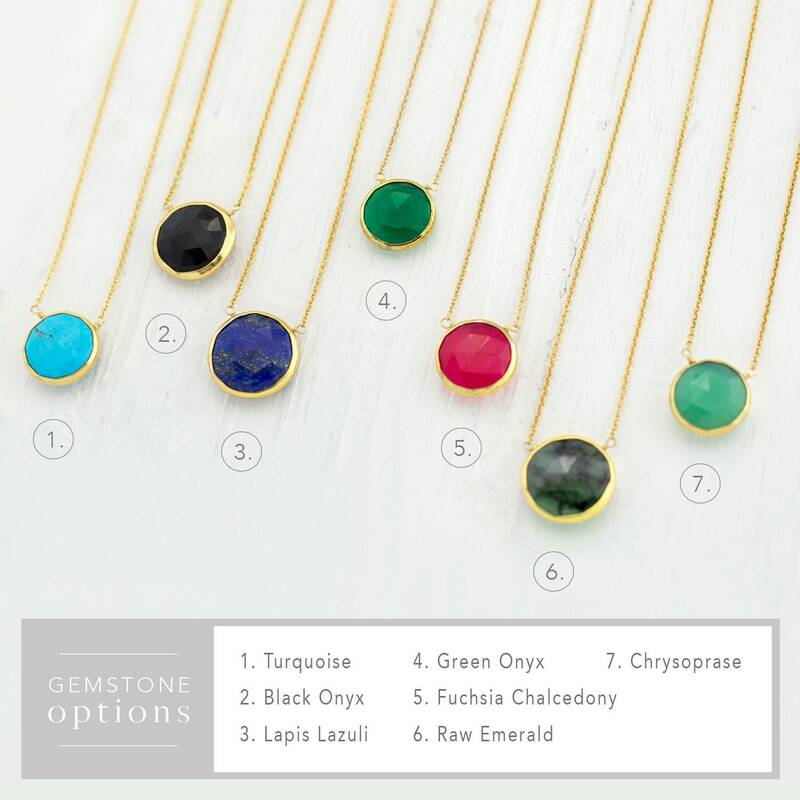 A stunning and simple necklace, perfect for yourself or as a gift! 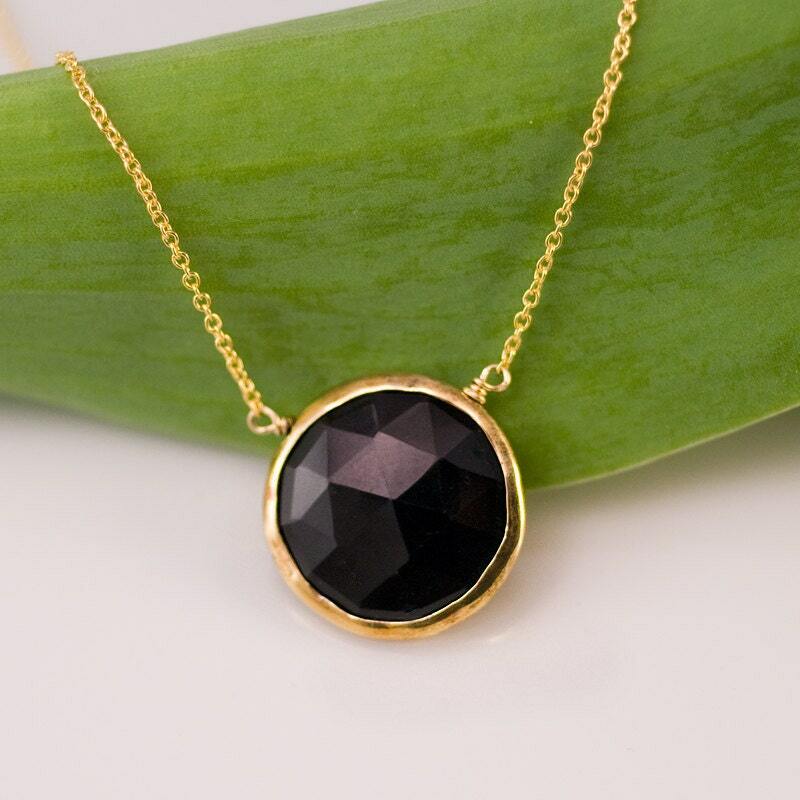 This necklace features a round faceted gem set in a gold vermeil bezel. 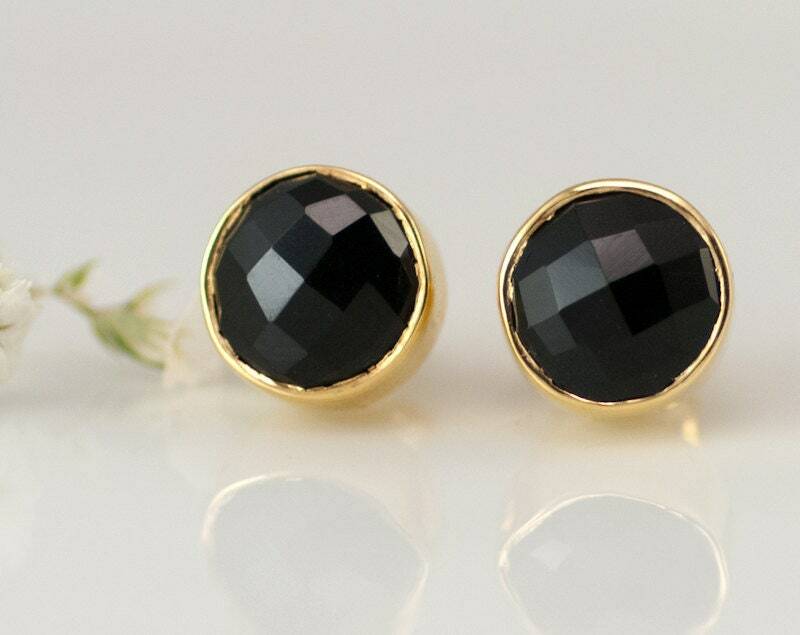 Matching stud earrings in the link below! The necklace is beautiful as it is functional. I’ve gotten so many compliments since putting it on! This is a great piece - it was nice to have a circular pendant instead of the usual teardrop or bar of gemstones (I'm drawn to those normally). This necklace looks rich, and gives a black blouse some oomph. Constructed very well, and the ring of gold filament is even. 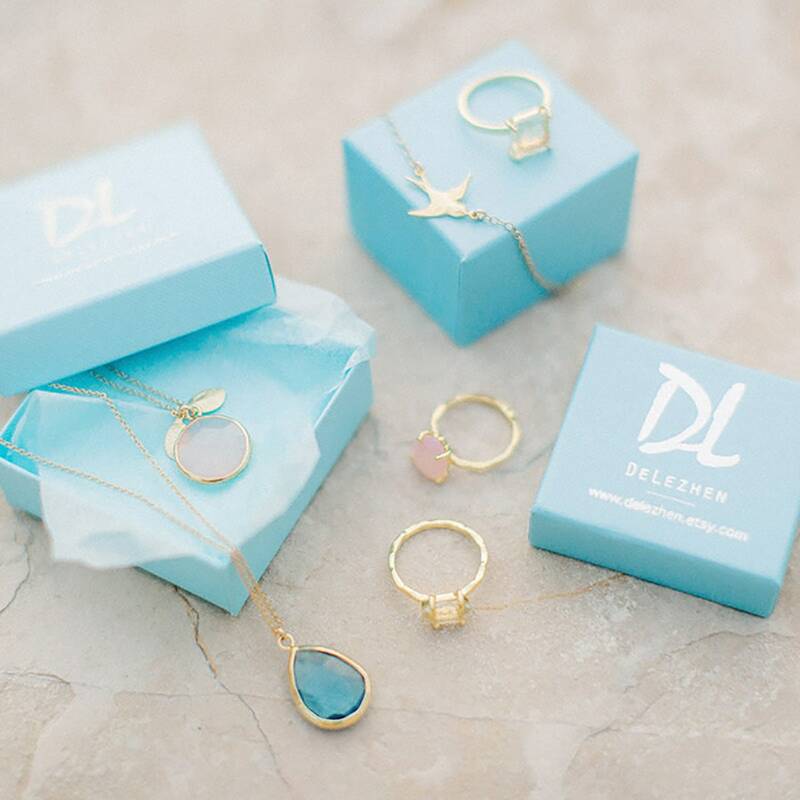 The necklace is well made and looks great. Thank you!